Actor Aadi and Adah Sharma have teamed up for Garam movie, which has reached the big-screens today on 12th February. Watch this space for Garam Telugu Movie Review Madan, who had earlier directed Pravarakyudu and Pellaina Kothalo donned the director cap for Garam. Sreenivas Gavireddy provided the script and it is produced by Aadi’s father and actor Sai Kumar under R.K. Studios banner. Garam has music by Agasthya, editing by Madhu and cinematography by Vijay C Chakravarthy. Aadi and the rest of Garam unit are confident on the film’s outing, and are hoping that the film will appeal to masses and classes as well. Varaala Babu (Aadi) is a fun loving guy who least bothers about his studies or career. With his father’s harsh criticism, he challenges him that he will come back to house only after proving himself and boards Hyderabad house. He falls for Sameera (Adah Sharma) at first sight, and in the process of wooing her, he gets to know that she already had issues with a person. What happens to Varaala Babu’s challenge and his love story forms rest of Garam. 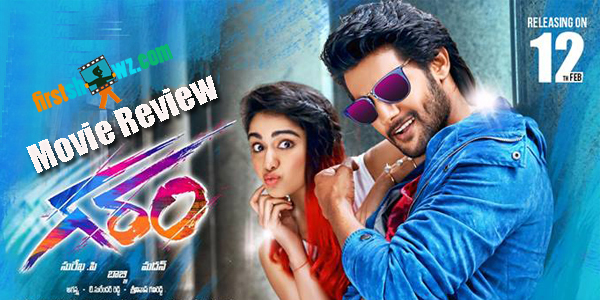 Aadi has opted for a massy role and look with Garam, and he delivers a mature performance. He tried to fit in the role and did his best in emotional and massy scenes. However, he needs to be cautious in script selection. Adah Sharma is okay in her role and she has very limited scope for performance, despite the story revolving around her characterization. Naresh does a remarkable job while Tanikella Bharani is brief in significant role. Shakalaka Shankar and Madhu are hilarious in few initial scenes. Kabir Duhan Singh is convincing in his role and Brahmanandam is wasted and others filled the screens. Music is decent, but the background score is below par. The songs are shot well, but the placement could’ve been better. Editing is okay, and dialogues are nothing to boast of. Madan faltered in direction and screenplay could’ve been gripping. Garam story is age-old, but the director had tried to incorporate few twists to it to make it engaging. Sadly, the twists failed to make it interesting or proceeding racy. Despite a good start and neat character introductions, the film falls with predictable and outdated narration. The interval bang gets racy and raises curiosity, but again the second half has nothing much to offer. The love story or the chemistry between leads doesn’t work well and poor placement of songs only makes it much more annoying. All in all, Garam has an outdated plot with boring and silly screenplay that hardly works. Aadi needs to be careful in scripts selection, as films like Garam will do nothing to his promising career.